Integrate SMS into your communication flow with students, parents, teachers and staff to increase engagement. CM.com offers versatile mobile solutions to engage and interact with students, teachers and parents. Besides educational apps, the mobile phone offers many possibilities to serve as an extra source of information and engage with parents, staff or students outside of class. Notifying students in case of schedule changes or even sending grades and outcomes via SMS. The increasing availability of smartphones, tablets, gaming handsets and other handheld presents a compelling learning platform available to a significant proportion of the education market. Notify students on timetable changes, inform teachers and parents of absence or alert on upcoming events. Increase student engagement and staff relationships. Make use of cost-effective messaging and save on administration work and expensive phone calls or letters. Protect your online and mobile platform with an extra layer of authentication to ensure the login session is done by the student himself. Reach students on their mobile phone by SMS, Push, RCS, Chat Apps & Voice. Remind students during exams about dates and locations, inform them about last minute changes or send weather alerts that can affect travelling, across any channel they prefer. Use replies to receive confirmations and eliminate administration work. In case of an emergency you want to inform parents and guardians as quickly as possible. With Multi-channel Messaging you can reach them rapidly through any messaging channel and include all the facts about the incident and its severity. Identity authentication for education institutions provides secure access and increases data security. Protect the access to your student and staff portals with a second layer of authentication. Send out a One Time Password automatically with each login session on the online portal or use the CM Authenticator app to make this process even easier. Verify your student’s identities with Two Factor Authentication before granting them access to your intranet and applications. Recruitment of new students can benefit from a SMS Campaign. A friendly text message to prospective students and their parents to remind them about application deadlines or a personal invitation for an open day can be very successful. It’s also possible to send out an URL link to an online course or extracurricular activities and even have them sign up immediately. Campaigns can also be useful to notify staff about upcoming events or use it as a tool to manage teacher absence. With SMS you can maintain a personal relationship with teachers and staff which will affect the quality they provide to students. Many schools face a challenge regarding collecting payments, and school bills can get summed up high for some parents. You can offer them the opportunity to pay their bills in different installments. AutoCollect gives you the possibility to offer spread payments without additional costs and parents can pay in multiple payment terms. 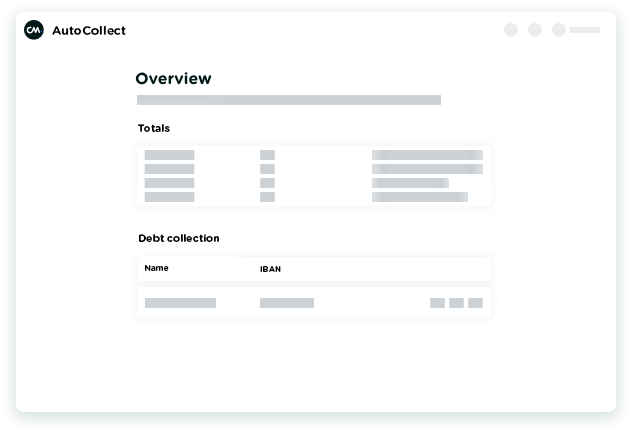 AutoCollect provides direct debits and gives a clear overview of the successful and failed payments. If a collection has failed, Autocollect offers the possibility to send the parents an e-mail or text message containing a link for a payment. Use Online Ticketing for school events, performances, registration days, open days and even for exams. You can create a free or paid event in your ticket shop and let students, prospective students or visitors register or buy tickets online. Tickets will be send by SMS and by E-mail and can be scanned effortlessly with the free Scan app. Reduce working hours, overloaded phone lines or full inboxes and use a ticket shop for registration of all your school events.